Nearly a month after controversy erupted over Aaron McGruder’s departure from The Boondocks, the award-winning animated show is slated to return Monday for its fourth and final season, the Associated Press reports. The show will return after a four-year hiatus, airing Mondays at 10:30 p.m. EDT on Adult Swim, the AP reports. And despite McGruder’s departure, the report says, it has not lost its edge. 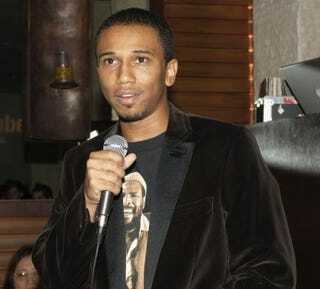 McGruder, creator and executive producer, adapted the series from his comic strip of the same name in 2005. But "this season was produced without McGruder’s involvement when a mutually agreeable production schedule could not be determined," The Root reported earlier, citing a statement from Adult Swim. The new season was announced last month on the official Boondocks Facebook page, prompting McGruder to go to his new project’s Black Jesus’ Facebook page to say: "Just found out someone has hijacked THE BOONDOCKS Facebook page. This was done without my permission and I have absolutely no control over the content being posted as of Friday, March 14." The show has won widespread praise and criticism for its formidable animation and treatment of difficult subjects. It has won awards, including an NAACP Image Award, and the prestigious Peabody Award in 2007 for an episode about Dr. Martin Luther King Jr. awakening from a decades-long "coma" into a modern world that both disturbed and disappointed him for its lack of social progress, the report says. The series "throws edgy, irreverent comment at some of the thorniest issues of our time," the Peabody committee said in its citation. "Race relations, racial identity, juvenile delinquency - there are no sacred topics here."